Bridie Jackson and The Arbour get into Debt! We are thrilled to announce another edition to the Debt roster… and WHAT AN ADDITION! 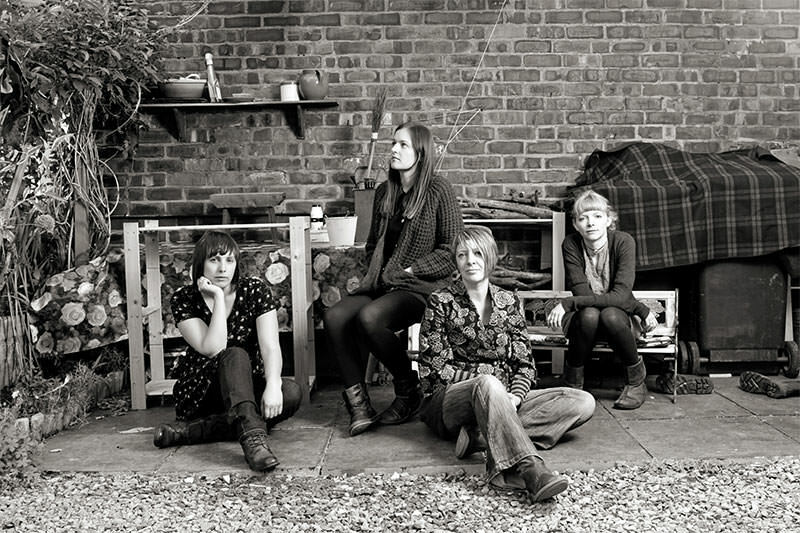 Bridie Jackson and The Arbour are a Newcastle-based four-piece, who use sparse instrumentation and intriguing vocal harmonies to create music that is simultaneously beautiful, ethereal, dark and powerful. Their music has drawn comparisons to artists such as The Fleet Foxes, Joanna Newsom and Feist, but there are echoes of influences as diverse as gospel and flamenco. Their unique sound may be difficult to define, but they draw audiences in with their engaging, passionate performances. Debt has been aware of Bridie for a couple of years now, particularly through collaborations with The Bedlam Six (both live in Newcastle and on record for “The Devil And The Hole”). The Arbour was also a much lauded act on the stage we curated for Liverpool’s Threshold Festival in 2011 and 2012. It is with great pleasure that we welcome them to the label. Their first release on Debt will be the single “Scarecrow” (aka “On My Wedding Day”) in February 2013, written by our own Louis Barabbas. Their first album (described as having the “power to intrigue and surprise… an impressive debut” by Rock n Reel Magazine) is available from their Bandcamp store.